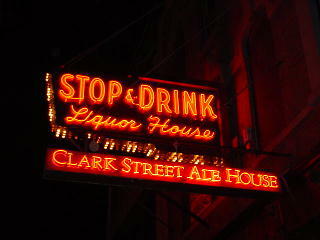 CLARK STREET ALE HOUSE emits a friendly red glow, welcoming passersby into its cozy and fun atmosphere. They're open late most nights, and their wide selection of beers on tap will keep you coming back for more time and time again. They've got an outdoor beer garden for you to enjoy during the warmer parts of the year, and you can even bring your pets with you out there, which is always fun. Why leave Fido at home when he can enjoy that warm summer breeze with you? 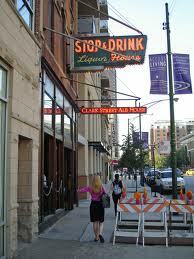 There's nothing pretentious about Clark Street Ale House. Just great music, great times, and great service.